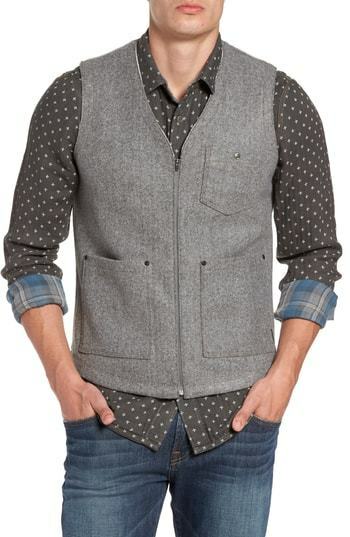 Reach for a Jeremiah cambria heathered zip vest and navy jeans for incredibly stylish attire. 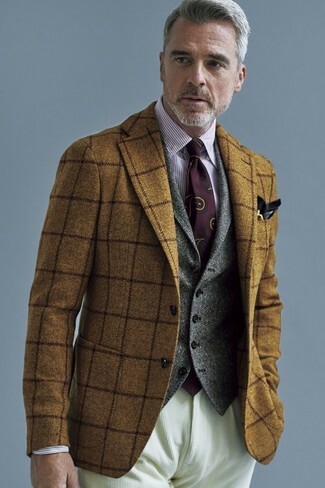 When it comes to shoes, this look is complemented nicely with black leather monks. For a smart casual getup, make a Jeremiah cambria heathered zip vest and khaki cargo pants your outfit choice — these two items play pretty good together. For something more on the daring side to round off this ensemble, make burgundy leather work boots your footwear choice. 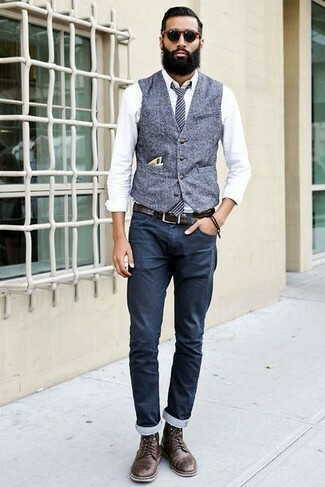 For a nothing less than incredibly stylish getup, try teaming a Jeremiah cambria heathered zip vest with navy jeans. 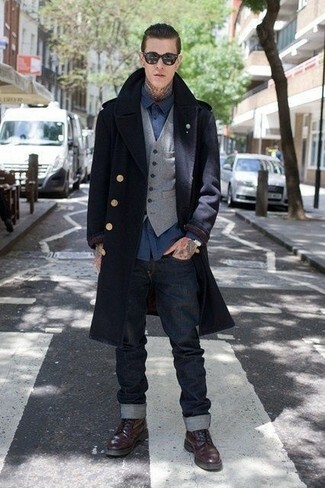 Rock a pair of grey leather desert boots to make the look current. 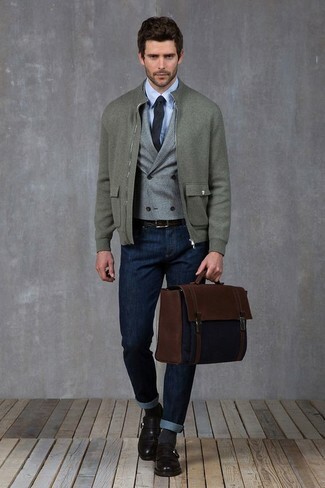 Try pairing a Jeremiah cambria heathered zip vest with navy jeans for a sharp classy look. Add a sportier feel to your ensemble with burgundy leather casual boots. 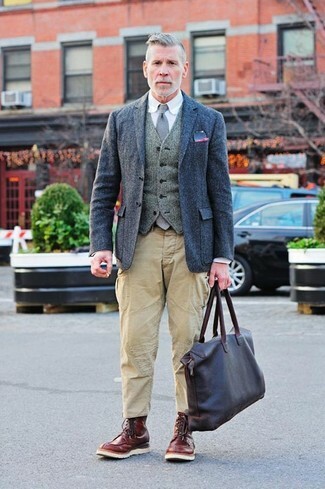 Wear a grey wool waistcoat with white chinos for incredibly stylish attire. For a nothing less than incredibly stylish look, wear a Jeremiah cambria heathered zip vest and charcoal vertical striped dress pants. 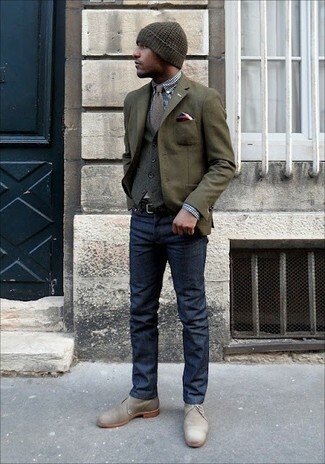 For something more on the daring side to complement this outfit, rock a pair of brown leather derby shoes. 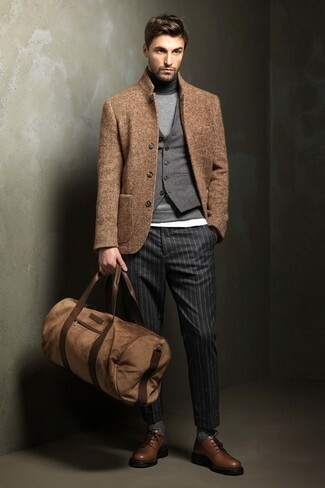 Marry a Jeremiah cambria heathered zip vest with navy chinos for a classic and refined silhouette. A pair of dark brown leather casual boots ads edginess to a classic style. 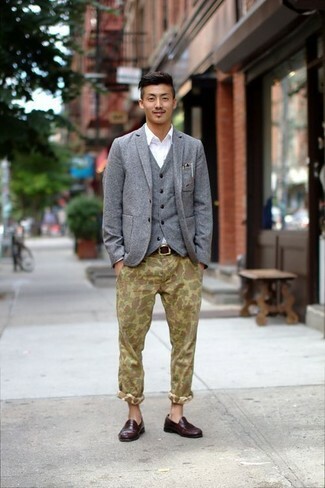 For a nothing less than incredibly stylish outfit, go for a Jeremiah cambria heathered zip vest and olive camouflage chinos. 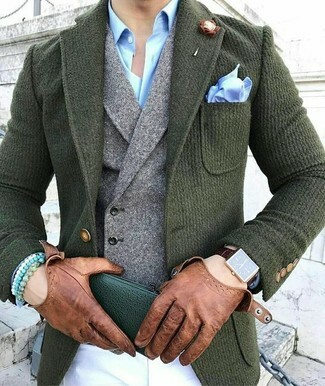 If you don't want to go all out formal, throw in a pair of dark brown leather loafers. For a nothing less than incredibly stylish ensemble, team a Jeremiah cambria heathered zip vest with beige corduroy jeans.